not included in the research assessment processes. Most of the item listed below are research presentations in academe or industry. A few are public presentations of a different kind, e.g. Cafe Scientifique presentations. 31st March - 1st April 2010: AIIB Symposium on AI-inspired Biology, at AISB10 conference. 2nd Feb 2010: "If learning mathematics requires a teacher, where did the teachers come from?" Why the ``hard'' problem of consciousness is easy and the ``easy'' problem hard. Or between shape and affordances. Mon 20th July: Talk at Open Source Schools "Unconference"
Some thoughts and demos, on ways of using computing for deep education on many topics. Ontologies for vision in Baby Animals and Robots. Mon 1st June 2009: Talk to Mathematics Graduate Open Meeting. What Has Life Got To Do With Mind? Or vice versa? Presented at seminar on Margaret Boden's work. Departmental Seminar, Computer Science, University of York. Grand Challenge 5 - Architecture of Brain and Mind: How to evolve, and grow, young mathematicians. Design a young explorer, able to discover "toddler theorems"
Ontologies for baby animals and robots: From "baby stuff" to the world of adult science. part of FET'09 in Prague, April 2009. Ontologies for baby animals and robots From "baby stuff" to the world of adult science: Developmental AI from a Kantian viewpoint. Invited talk at Workshop on Matching and Meaning, at AISB'09 Edinburgh 9th April 2009. Talk at Sussex COGS 9th December 2008 and in Birmingham psychology 12th December 2009. A new approach to philosophy of mathematics: design a young mathematically disposed explorer. Talk 2 Sun 2nd Nov: Evolution of minds and languages. Presented 16th October in School of Computer Science, University of Birmingham. Part of The Great Debate on Human Nature, Newcastle, Sept-Oct 2008. Thursday 2nd October 2008 Presentation at EU CogX robotics project kickoff workshop in Portoroz Slovenia. Panel session at BCS Visions of Computer Science conference. Evolution, development and modelling of architectures for intelligent organisms and robots. (For Graduate School Seminar series, Biosciences, on 24th June 2008). 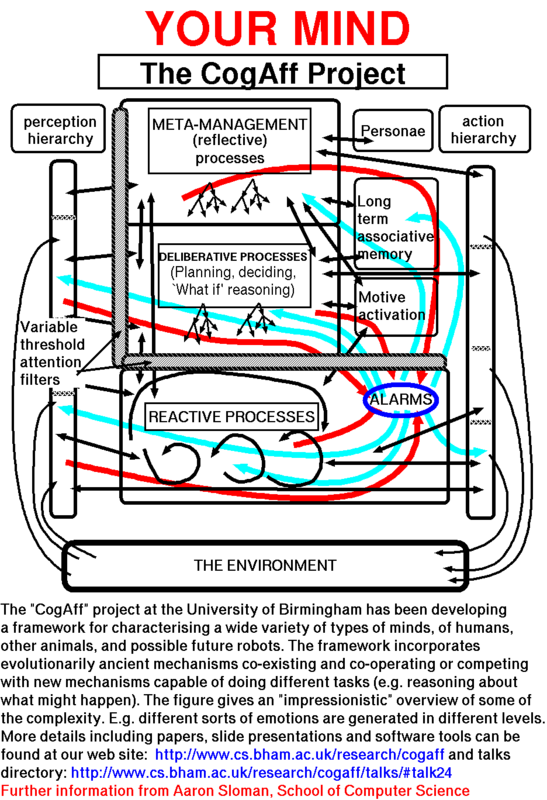 given at Birmingham Informatics CRN Workshop on Complexity and Critical Infrastructures - Environment focus. Modified version of talk given in May, below. What designers of artificial companions need to understand about biological ones. How Do Logic And Probability Fit Into The Bigger Picture? Slides will be added after I have had time to polish them up a bit. Many of the ideas were in this talk given in May 2007. 27 Nov 2007: Talk at Sussex University. 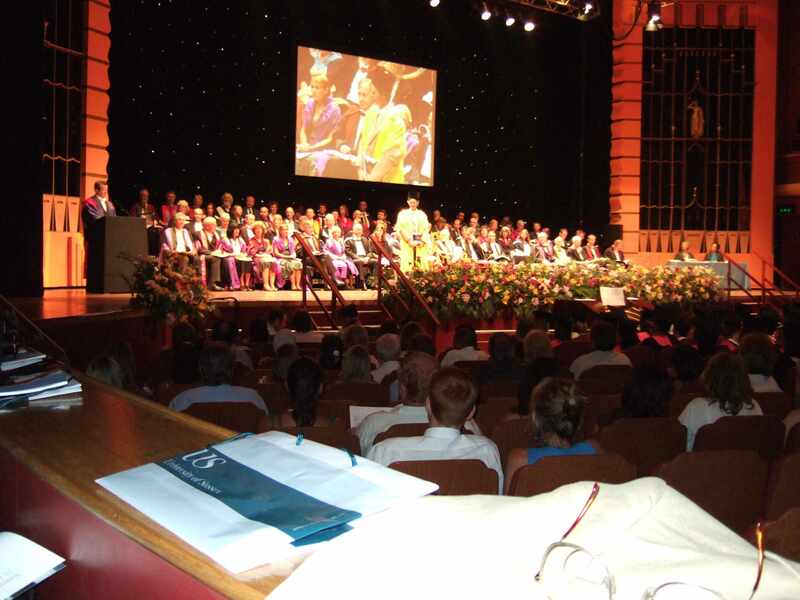 Also 29 Nov 2007: Talk in Birmingham University. Abstract and printed symposium paper also available. Invited contribution to meeting on "Artificial Companions in Society: Perspectives on the Present and Future Perspectives"
Organised by The Companions Project, at the Oxford Internet Institute, Oxford University. Talk at Language and cognition seminar, School of Psychology, University of Birmingham. A slightly simplified version prepared for first year AI undergraduates was added on 11 Dec 2007. Invited talk at Inauguration ceremony of the "Research Institute for Cognition and Robotics - CoR-Lab", at Bielefeld University. Understanding causation in robots, animals and children: Hume's way and Kant's way. structures, possibilities, affordances, causation and impossible objects. Invited talk at COSPAL Workshop Aalborg, 14th June 2007 on Cognitive Systems: Perception, Action, Learning. Architectural and representational requirements for seeing processes and affordances. philosophy of mind and mathematics, before that. Invited discussant at Symposium on "Creating Brain-like Intelligence"
In the 'Computational Thinking' Seminar series. 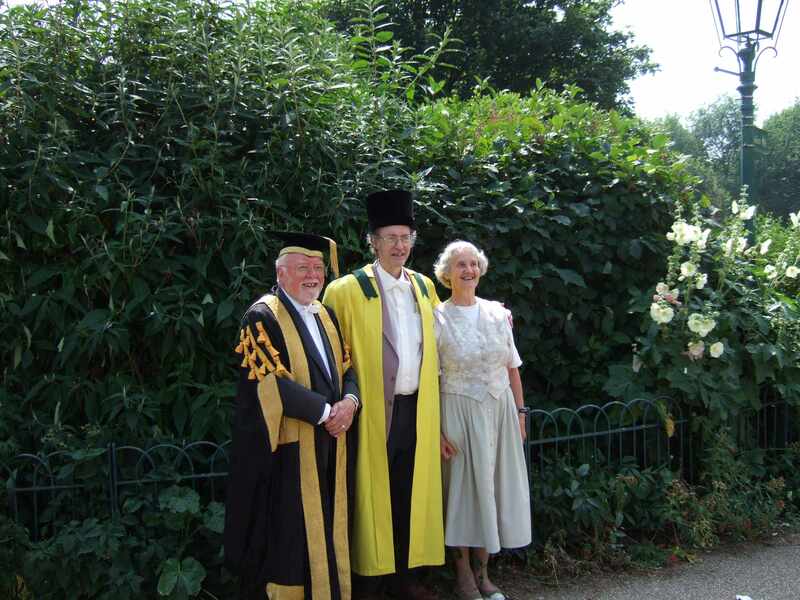 Expanded version of acceptance speech at award of Honorary DSc degree, University of Sussex, 21st July 2006. Picture taken before the ceremony. Picture taken during presentation by Ron Chrisley. Do we need a common framework for investigating architectures? Picture taken at the event. Reporting back on 'birds of a feather' discussion on: July 15-16, 2006, at the Norton's Woods Conference Center, The American Academy of Arts and Sciences,in Cambridge, Massachusetts. at AISB 2006 3-4 April 2007, Bristol UK. Invited talk at symposium on Machine Consciousness, at AISB 2006 5-6 April 2007, Bristol UK. When is seeing (possibly in your mind's eye) better than deducing, for reasoning? Invited talk at Cognitive Science Research Centre, University of Sussex. 7th Feb 2006. University of Osnabrück 16th November 2005. Invited speaker, Cognitive Systems Colloquium, Euroforum, European Commission, Luxembourg, 4th 4th October 2005. Invited talk at Artificial Intelligence: In your Life Today an event hosted by the Royal Society of Edinburgh co-organised by the SSAISB and the British Computer Society Specialist Group on AI (SGAI) 5th August 2005. Co-Organised a two day tutorial with Bernt Schiele, funded by BT, IBM, InferMed and SSAISB, at 19th International Joint Conference on AI, Edinburgh, July 30-31 2005. The 3rd multi-disciplinary symposium organized by the NWO Cognition Programme: How rational are we? Also presented several other times/places. 'Putting the pieces of a mind together'. Invited talk at School of Systems Engineering, University of Reading, 19th May, 2005. (Same talk as given at Reading in May (above). Invited talk at Department of Computer Science, University of Sheffield, 20th April, 2005. Invited talk at Cogniron Workshop on "Cognitive Robots and Systems, held at the Euron Conference Warsaw, 17th Feb 2005. Invited talk at Goldsmiths College London, 19th Jan 2005. Seminar presentation on Grand Challenge 5: Architecture of Brain and Mind. Invited talk at School of Informatics, University of Edinburgh, 18th November 2004. Contribution to Hot Seat Debate: Can Computers Have Emotions? Invited discussant, FP7 Robotics Planning Workshop, European Commission, 8-9th November 2004. Tutorial on Integration, For Cognitive Systems Conference. Presentation at Cognitive Systems Kickoff Conference, Bled, Slovenia, 28-30 October 2004. Presentation in Zoology Department, University of Oxford, 30th Sept 2004. Invited speaker at informal debate at Institute of Contemporary Arts on: The search for a soul. Invited presentation at Cafe Scientifique, Birmingham, 7th May 2004. Invited discussant, DARPA funded Workshop on Self-aware systems Washington DC, USA, 27-28th April 2004. What are emotion theories about? AAAI Spring symposium, Stanford March 22-24 2004. University of Newcastle upon Tyne, UK, February 20-22, 2004. What Are Information-Processing Virtual Machines? Notes from a ESF-funded workshop on models of consciousness, Sept 2003, and an invited presentation at University of York, 11th Feb 2004. Invited presentation at University of York, 11th Feb 2004. Recorded interview included in BT Schools Lecture on 'Digital Tears'. Why should robots, or animals, have emotions? Talk to Cafe Scientifique, Nottingham, 27th October, 2003. At press conference arranged by British Computer Society, London. At ESF-funded Workshop on Models of Consciousness, Birmingham, 1-3 September 2003. What kind of virtual machine is capable of human consciousness? May 30th to June 2nd, 2003, at the University of Memphis in Memphis, Tennessee. Invited talk at planning meeting of the UK DTI Foresight Cognitive Systems Project. London, May 14th-15th 2003. Invited keynote talk at The First European Conference on Computing and Philosophy, University of Glasgow, March 27-29, 2003. When Will Real Robots Be As Clever As The Ones In The Movies? Invited talk at Computing Laboratory at the University of Kent at Canterbury. Presentation at British Machine Vision symposium, London 29th Jan 2003. Airlie House, Warrenton, Virginia, USA, 3-6 Nov 2002. For some reason the papers, presentations, and organisational information about that workshop are no longer available on the web. I have copies of most of them. I was the only person invited from outside the USA to the workshop. My recommendation, not to focus on how to design an intelligent office assistant with the capabilities of a highly competent adult (e.g. Radar O'Reilly in MASH), but instead to focus research resources on trying to replicate as much as possible of the intelligence of a young child (not a new-born infant) including, above all trying to understand the requirements, for such a system, before rushing into designs, was not accepted. Invited presentation at launch of Birmingham Cafe Scientifique, 25th October 2002, at Midlands Art Centre. Invited talk at Artificial Intelligence: Recollections of the pioneers. A meeting of the Computer Conservation Society on the early days of AI in the UK, British Museum, London, 11 October 2002. Can we design a mind? Invited talk on emotions and architectures at the Gatsby Computational Neuroscience Unit, 19th June 2002. Invited speaker at workshop held on St. Thomas, Virgin Islands, in April 14-16 2002, and hosted by the Jeffrey Epstein Virgin Islands Foundation. The St. Thomas common sense symposium: designing architectures for human-level intelligence. Invited seminar presentation at MIT Media Lab, 15th March 2002. Invited talks at workshop and conference at IBM Thomas J. Watson Research Center, New York. March 15-16 2002: A small workshop at the IBM Thomas J. Watson Research Center, on architectures for common sense reasoning, was followed by a conference on the same topic at which the invited speakers were John McCarthy, Marvin Minsky and Aaron Sloman. BBC2/Open University TV programme on "Machines with Minds"
Professor Aaron Sloman (University of Birmingham), Dr Amanda Sharkey (University of Sheffield), and Professor Igor Aleksander (Imperial College)." 1: Virtual machine architectures and their relations so physical machines. Minds and their relations to brains. Muddled ideas about emotions (and freedom). 2: Reactive, deliberative and meta-management layers in the human architecture, and how they might have evolved. 3: How the layers relate to different sorts of architectures. The COGAFF architecture-schema and the H-Cogaff proposed schematic architecture. 4: What are your objections? How does this relate to alternative theories? Have we accounted for everything (including qualia?). Unsolved problems: where next? Talk presented at BMVC01: British Machine Vision Conference, Sept 10-13 2001. As part of the Tutorial programme. at the AISB 2001 Convention held at the University of York, 23--24 March 2001. What sort of information processing architecture suffices for human-like minds? Invited talk at 'Consultation' of Society of Ordained Scientists, Windsor Castle, 14-16th February, 2001. Invited talk at Oxford University Computing Laboratory, 30th January 2001. Also presented in May 2000 at IRST in Trento. Invited talk at the McDonnell Centre for Cognitive Neuroscience Oxford University, 22nd Jan 2001.